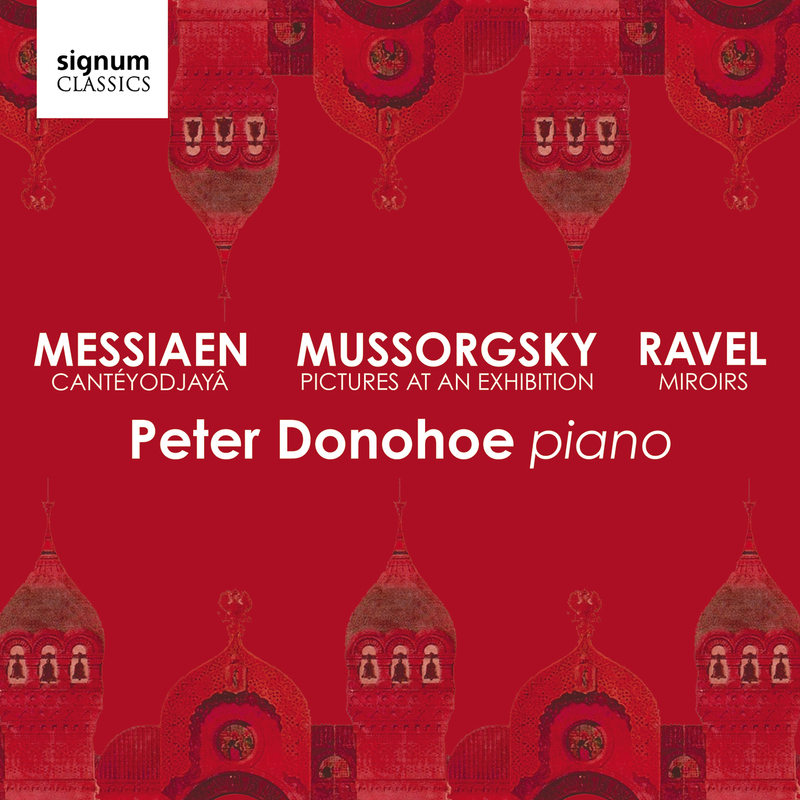 One of the pinnacles of nineteenth-century pianism, Modest Mussorgsky’s Pictures at an Exhibition broke new frontiers in its writing for the piano through its use of ringing bell-like sonorities, dramatic juxtaposition of registers and dynamics, its approach to resonance, percussive octaves and rapid hand-alternations, and sheer grandeur of sound. Mussorgsky’s masterpiece is coupled here with works by Ravel and Messiaen – composers who were indebted to the innovations of their Russian predecessor. Miroirs comprises a set of five pieces evoking contrasting moods and pianistic characters. Far from being Impressionist – a movement with which Ravel had little real affiliation –the ‘Mirrors’ of the title suggests more Symbolist associations in that the individual pieces explore ambiguities between supposed reality and ‘reflected’ simulation. An unusually non-descriptive work for Messiaen, without religious references or bird- song, Cantéyodjayâ is about musical process and is constructed as a mosaic-like collage in which a jaunty rhythmic refrain is contrasted with a multiplicity of contrasting ideas, many of which are re-workings from his gargantuan Turangalîla-Symphonie.